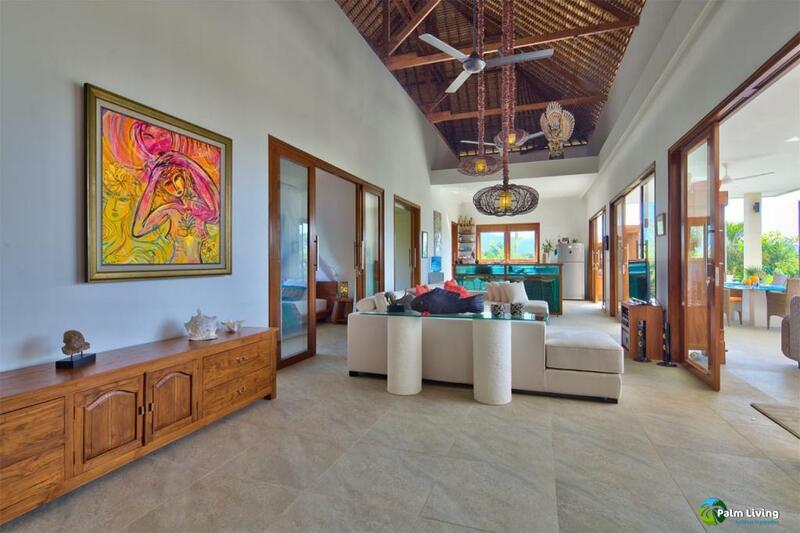 For your well-earned vacation or a special celebration with family and friends, choose Villa Palmeira as your Balinese home from home. 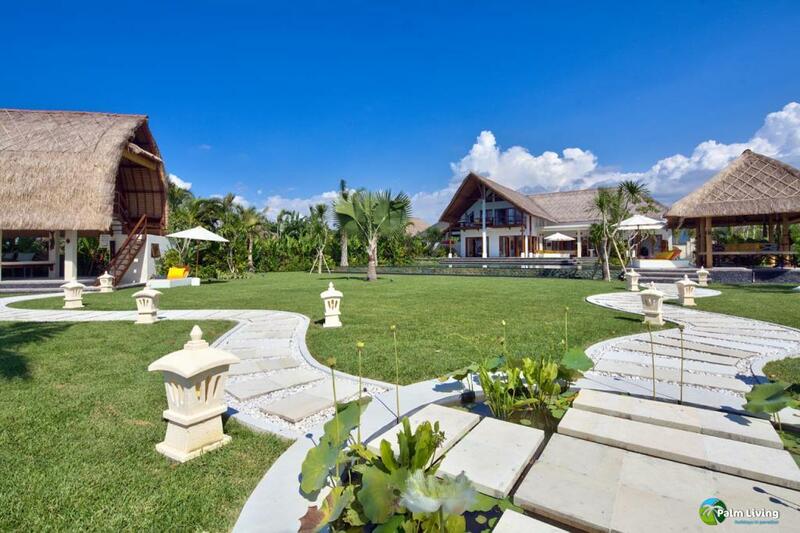 A warm welcome awaits you all. 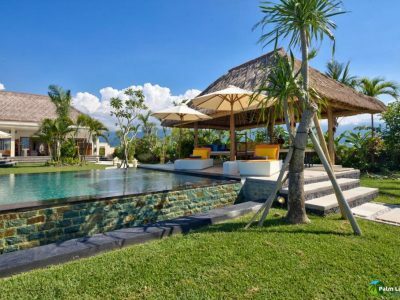 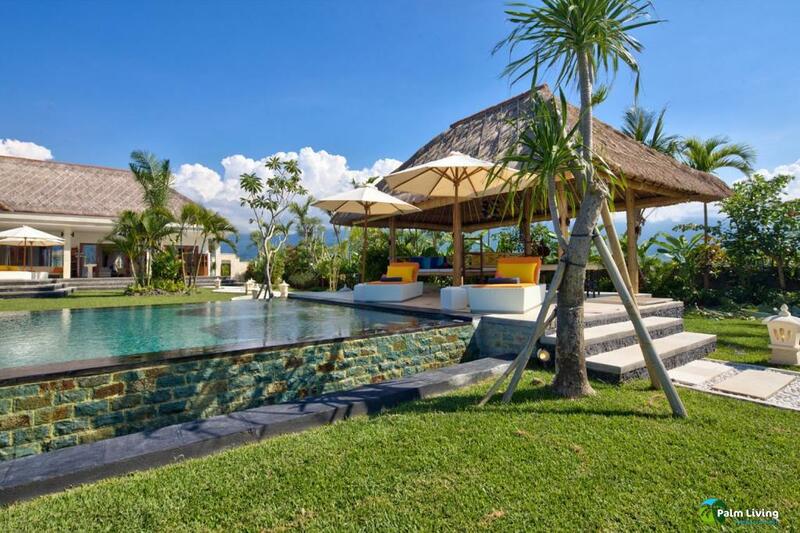 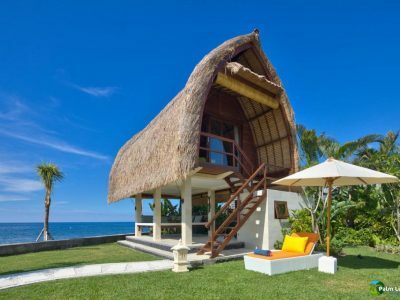 This is a spacious, luxury ocean-front, fully serviced villa, open on three sides to the sea, rice paddies, vineyards and the mountains behind, and set in an acre of lush grounds. 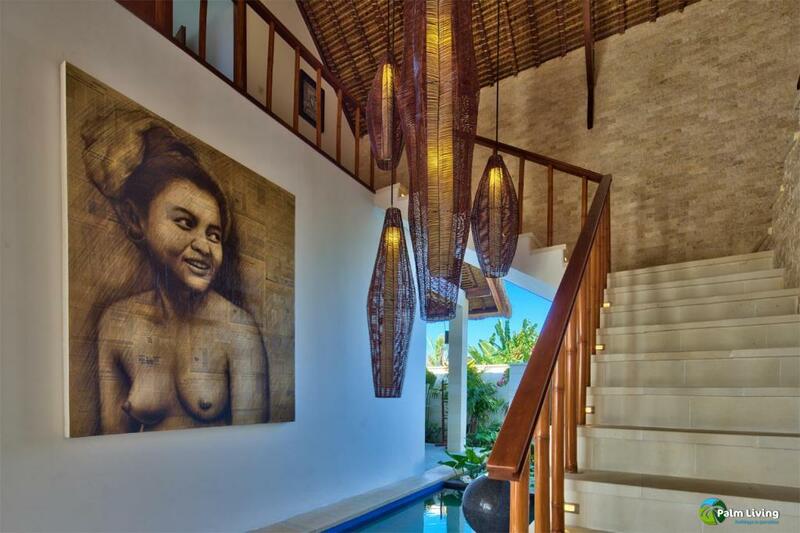 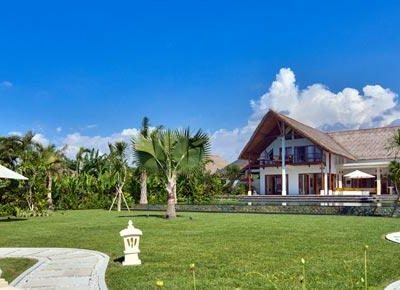 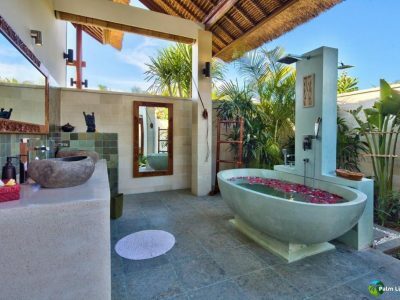 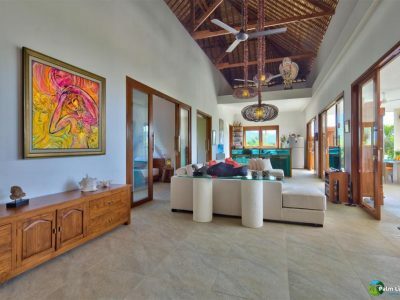 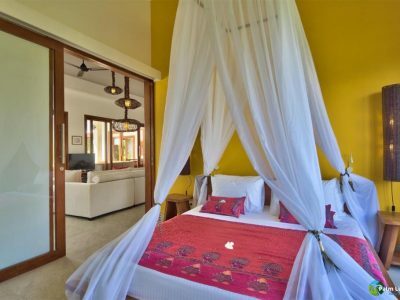 It has a contemporary open Balinese design with traditional “alang alang” thatched roofs and offers 600 sq. 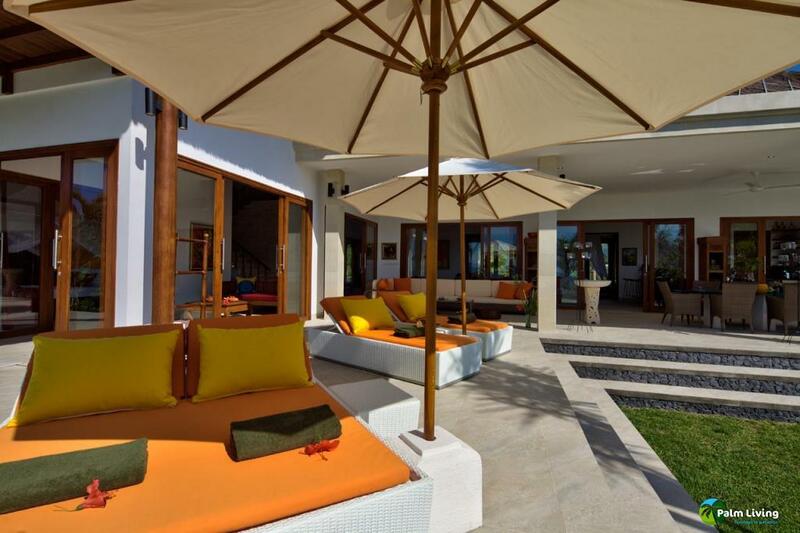 meter of covered indoor and outdoor living space including upstairs balconies, sunning decks & lounge areas. 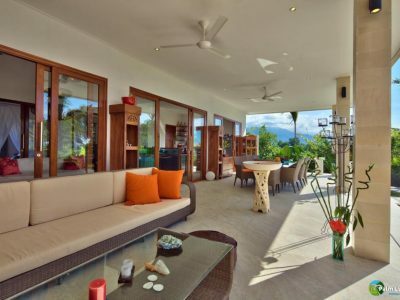 You will find a modern and well-appointed kitchen and bar, comfortable and roomy indoor-outside living, dining and lounge areas plus eight bedrooms, all with their own private bathrooms. 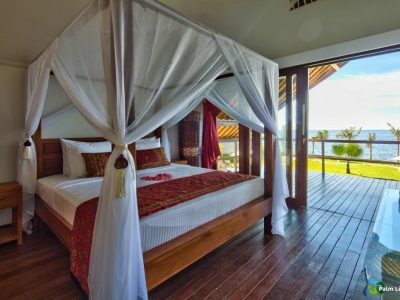 Five bedrooms are in classic king size bed style, while a studio, exercise room & ocean overlook lounge make dual-purpose conversions with fold out sofa beds including king size bed mattresses. 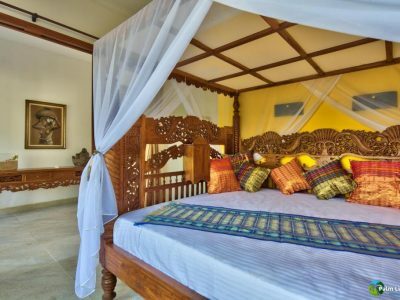 We also have a baby cot and two extra single fold out beds for little ones needing to sleep in the same room as the parents. 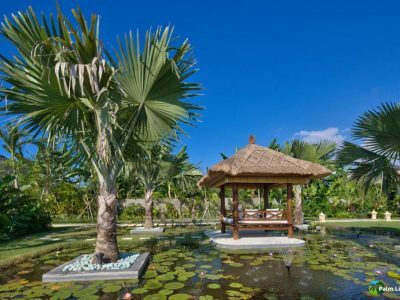 There is 18×5 m pool, a jacuzzi, secluded courtyard, fish ponds and water features, a rice barn and two bale’s in a verdant tropical garden covering 4,000 sq. 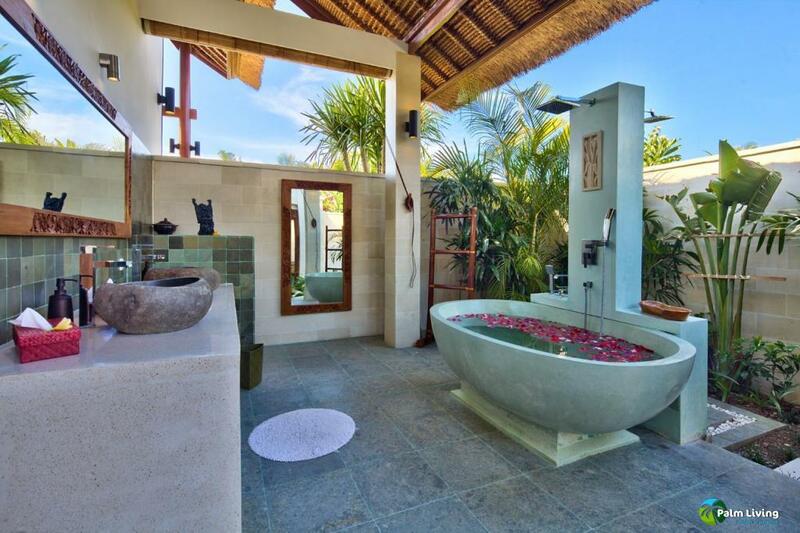 meters and running right down to the sea. 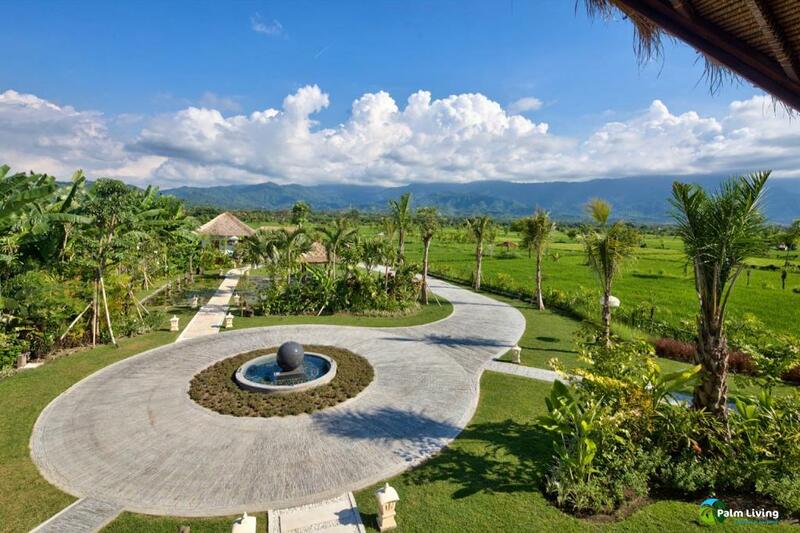 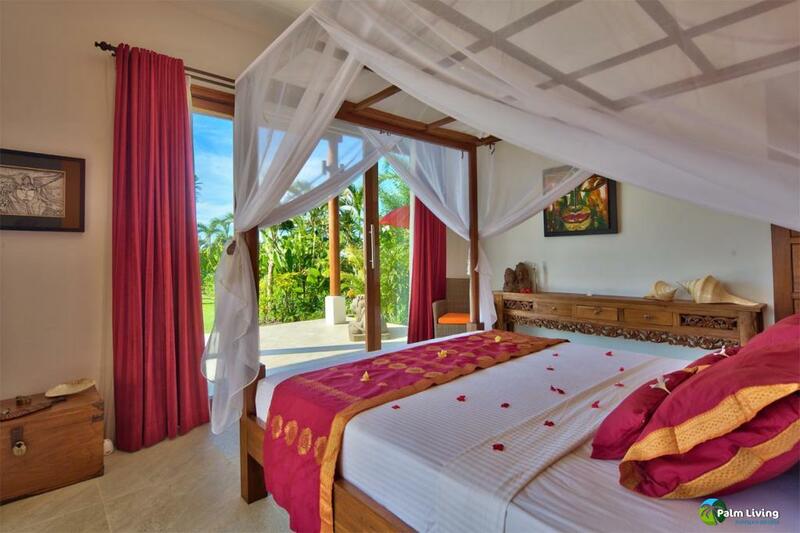 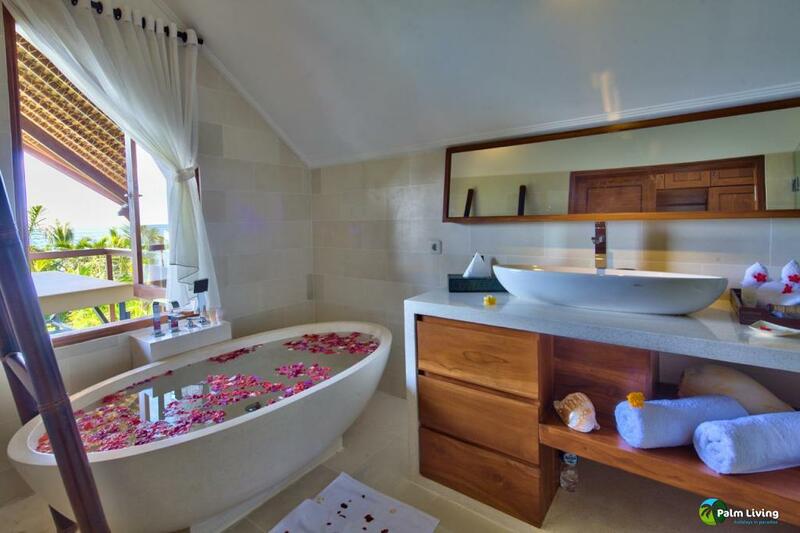 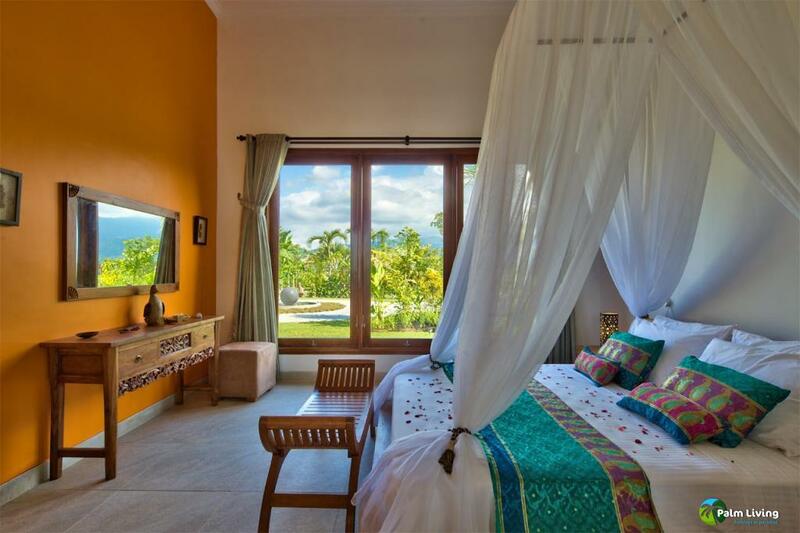 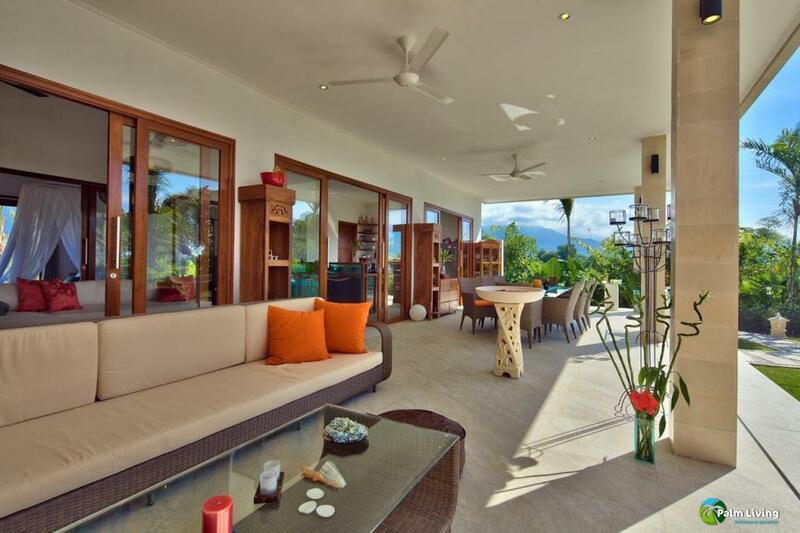 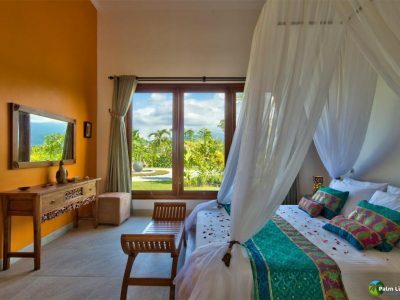 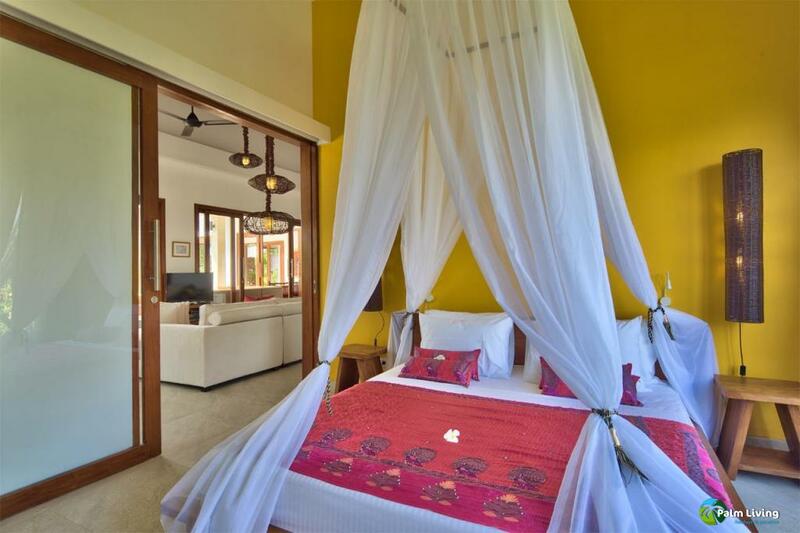 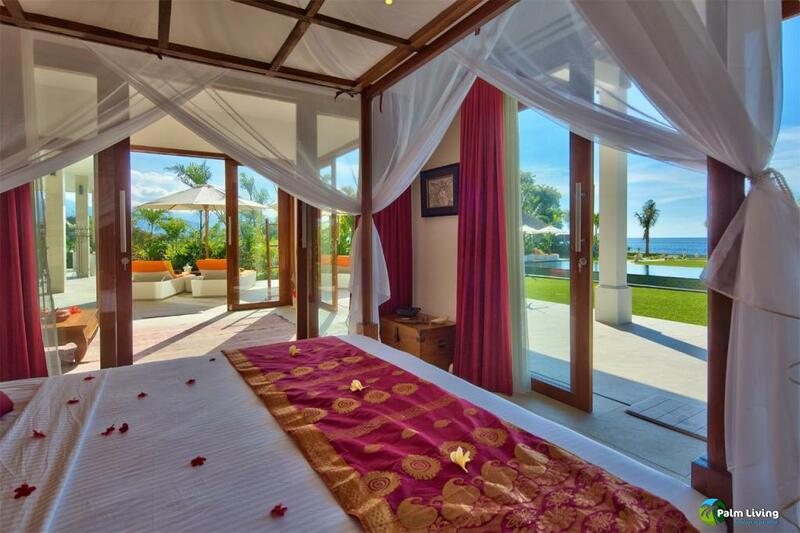 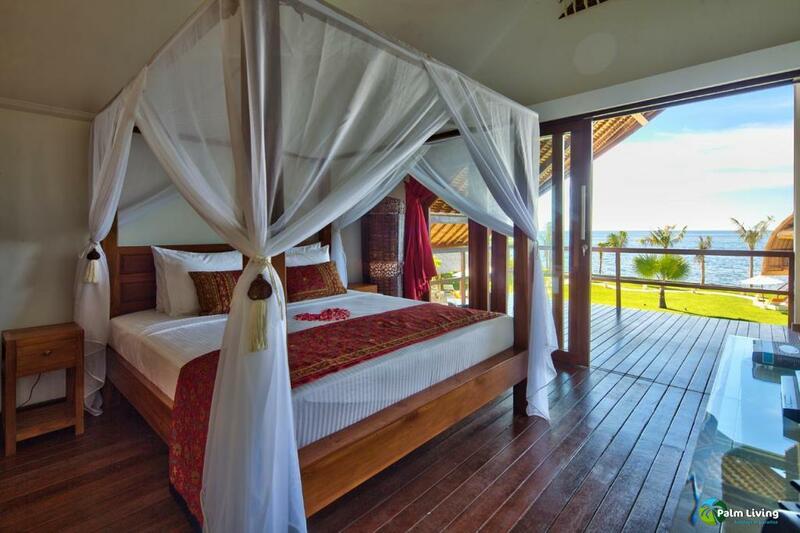 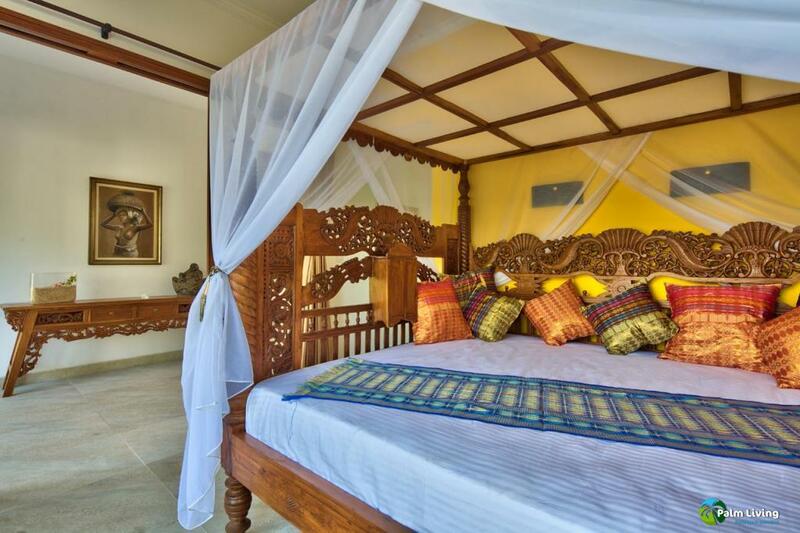 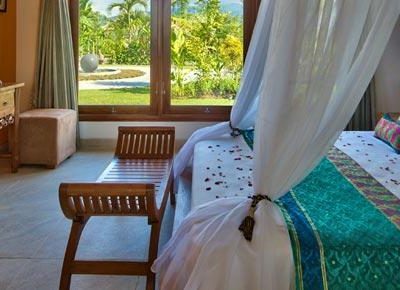 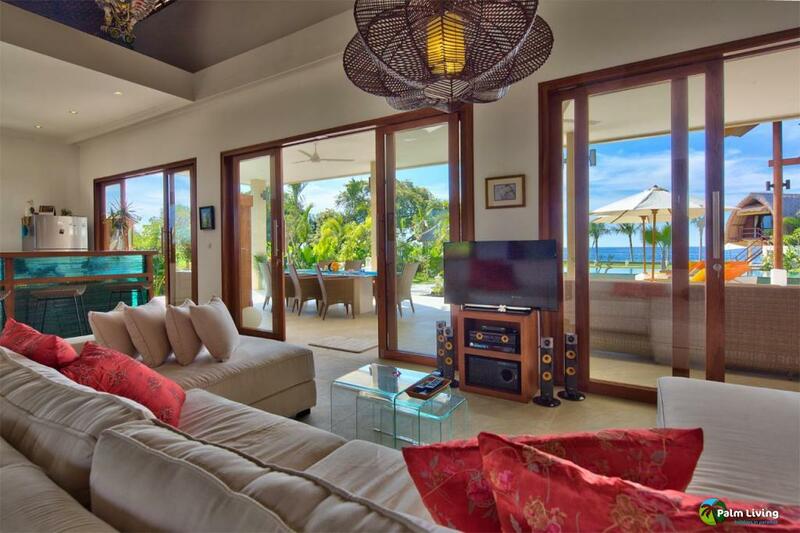 The villa is equipped with Wi Fi & Satellite TV, A/C, and safe deposit boxes in each bedroom. 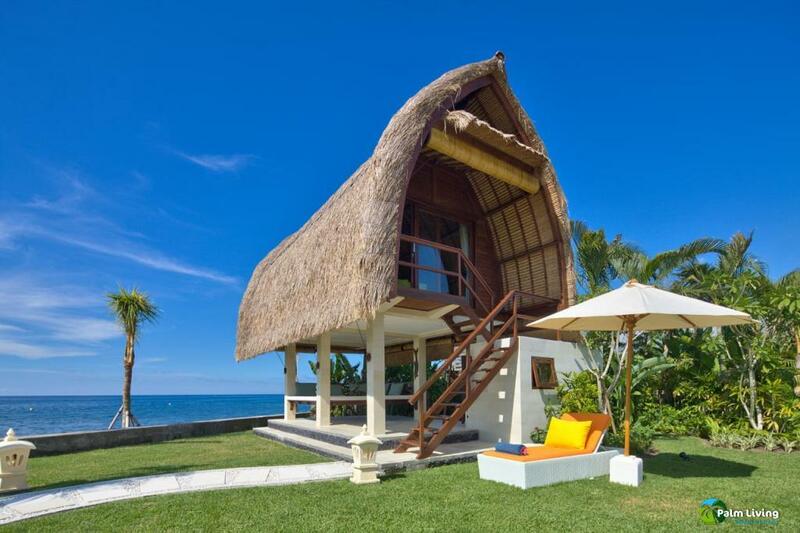 There is immediate access to the beach & coast path. 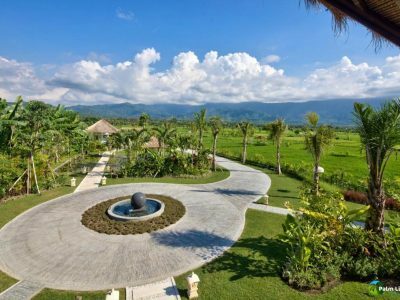 We are 1 km from the local village Kalisada, 10 minutes drive from the market town of Seririt, and Lovina is a 25 min drive. 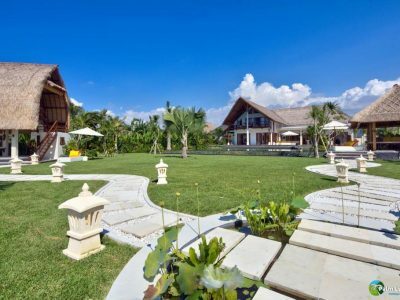 There is an on-site car/driver for hire and scooters can be easily arranged with the staff. 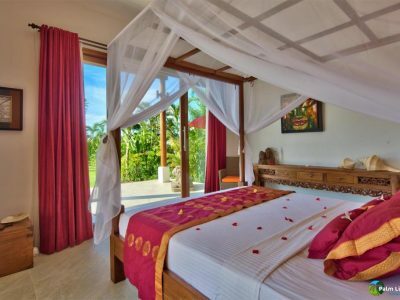 The villa will be exclusively “all yours” with an English speaking manager and staff of seven to spoil you, tend the gardens, to look after the pool and water features and to provide round the clock security (though this is a very calm and safe part of the island). 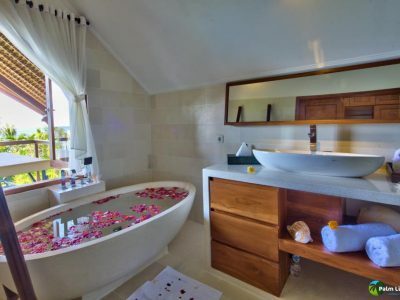 They will make up your rooms in the morning and provide an evening turndown service, they will cook and serve snacks and meals, make fruit juices and shakes as you enjoy the big pool and before dinner they can prepare cocktails. 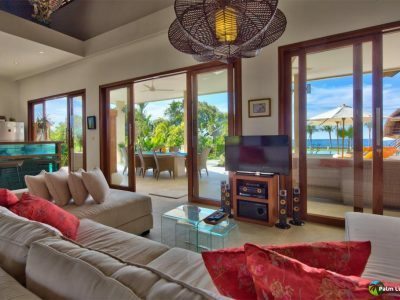 They will do the washing and tidying up, keep the villa clean and there is a free laundry service. 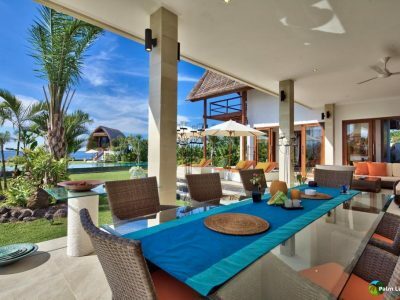 The staff will also do your grocery shopping for you, though the local markets are certainly worth a visit to browse and buy. 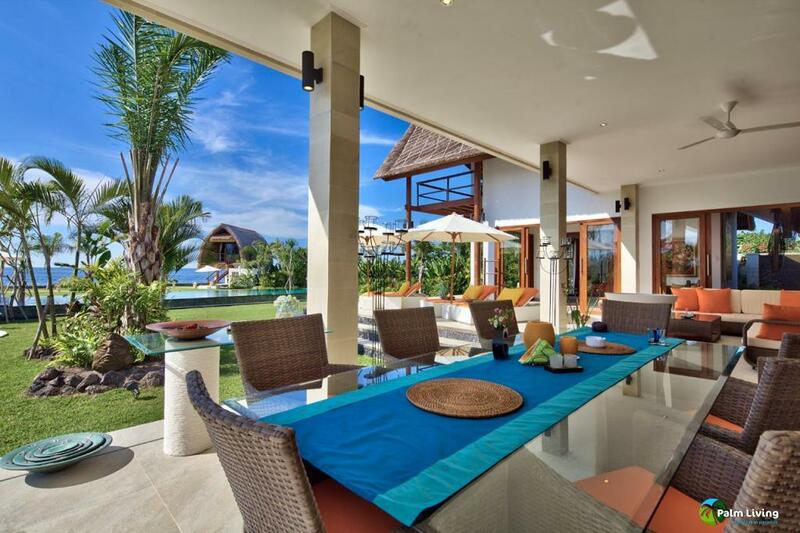 Palmeira offers the whole family and your friends a rewarding and relaxing holiday experience. 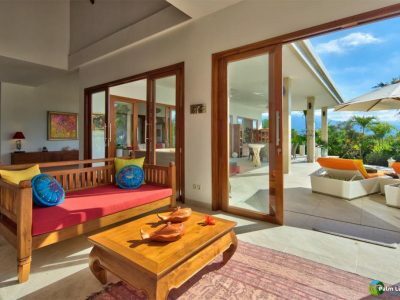 Our manager, Anik, will provide help with your airport transfers and local transport, and both she and Agus, the head house boy, will recommend and help arrange activities such as dolphin watching, visits to hot springs and traditional temples, treks to waterfalls, a visit to a plantation in the hills, scuba diving & snorkeling, water sports, fishing trips, beach clubs, or book for you on-site massages & beauty treatments or maybe a yoga class? 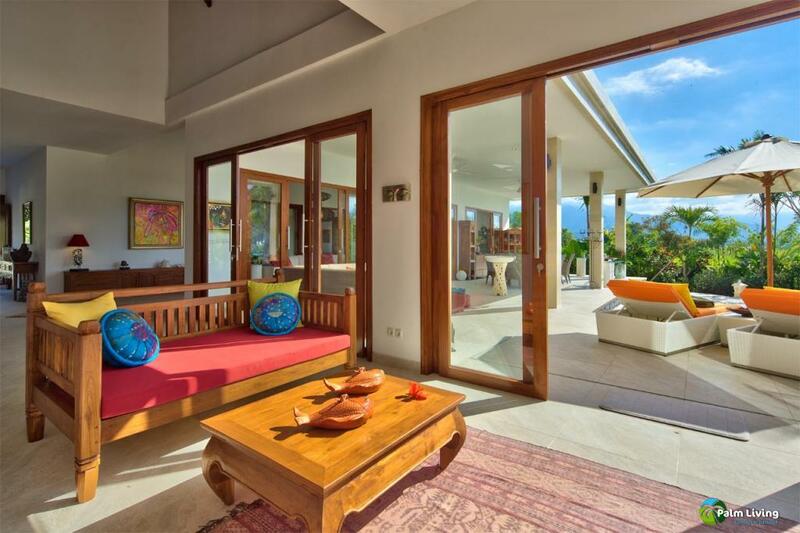 Or just relax, catch a shady spot to read a book, listen to your music and marvel at the natural beauty of the surroundings. 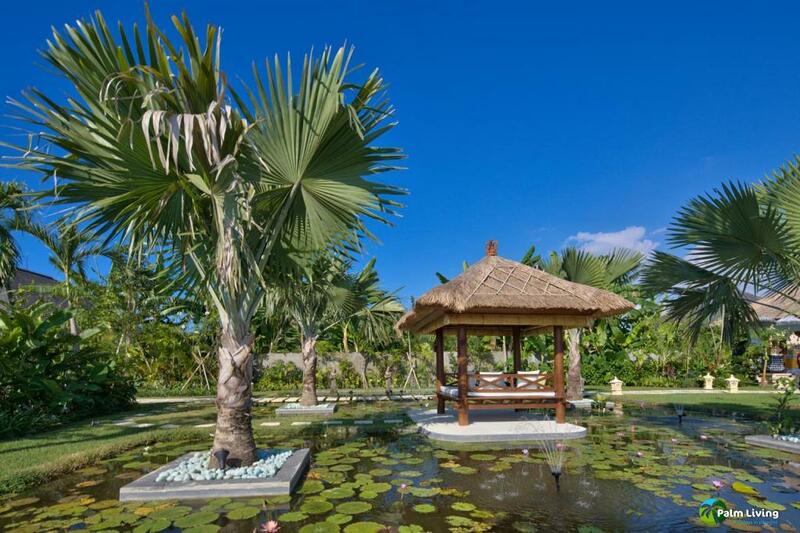 This is a very peaceful and enjoyable part of this fascinating and welcoming Island; very much the way Bali used to be!